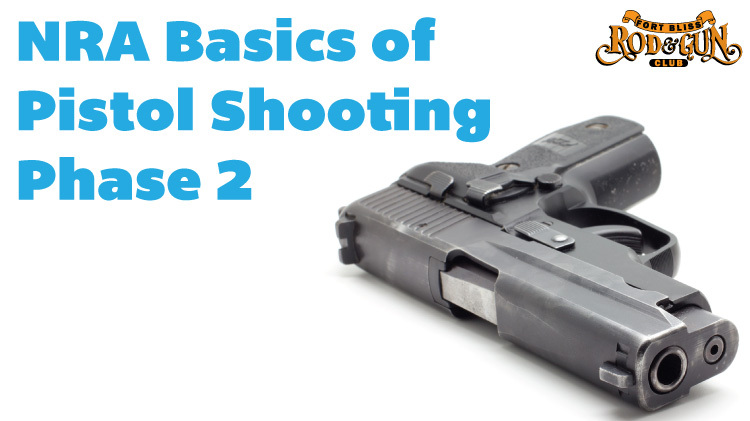 Date: Apr 20 2019, 8 a.m. - 3 p.m.
Rod & Gun club offers NRA Basics of Pistol Shooting Phase 2 on the 1st Sunday and 3rd Saturday of each month from 8AM-3PM. The NRA Basics of Pistol Shooting is a two-part course consisting of Phase 1 (computer based learning at home) and Phase 2 (hands-on practical portion) conducted at the Rod & Gun Club under the guidance and supervision of an NRA-certi­fied instructor. The course is intended for all adults regardless of previous shooting experience or NRA-affiliation. Course is open to the public! Minimum class size is 2 persons. Class subject to cancellation and rescheduling. $25 non-refundable deposit and $100 due to Rod & Gun day of event. the Rod & Gun Club or online.